Shortlisted for the NCCPE Engage Awards 2016 in the Health & Wellbeing category. The ageing population - and the challenges it poses to society - has brought together a range of partners to experiment with a technological solution to detecting health problems in the home. SPHERE (Sensor Platform for Healthcare in a Residential Environment) is an engineering-based research project developing sensor systems to provide accurate information about health-related behaviours. SPHERE involves around 100 researchers harnessing smart technologies such as wearables, sensors and cameras. By equipping a house in Bristol with the technology the team looked for changes in facial expressions, posture and eating habits to spot signs of certain health conditions, such as dementia, or depression. The project was extended into 100 homes in the area over the summer of 2017. The SPHERE project team is a multi-disciplinary mix of talent across several institutions. It is a collaboration between the Universities of Bristol, Reading and Southampton. Ben Meller acted as the Public Engagement Associate developing a two-way communication between researchers and members of the public. Alison Burrows was the research associate in user-centred design, involving members of the public in the design phase. Professor Ian Craddock is Director of the SPHERE project and responsible for integrating the efforts of the 100 or so researchers, as well as driving the strategy. Knowle West Media Centre is a key partner and is an arts charity supporting people to gain benefit from digital technologies. The aim of the engagement team was to work with those who might benefit from the SPHERE technologies in the future, in order to ensure the technologies are acceptable both in ethical terms, and practically. It aimed to be inclusive, including people as part of the engagement process who come from a diverse range of backgrounds as this is typical of the kind of end-users the project aimed to benefit. It involved people from all ages, social and ethnic backgrounds. The pressures of an ageing population on health and social care are such that imaginative solutions may be needed. People are increasingly living with multiple long-term conditions and healthcare costs are rising. Yet they also want to live in their own homes rather than an institution, and to have control over their own health. SPHERE is exploring how SMART technologies in the home might spot early signs of health conditions and help to improve people’s prospects of living in their own homes, and reducing the burden on health care. Long-term health conditions may be detected in people’s lifestyle. For example, if a person is sleeping more than they used to, eating less, and slouching, it may be a sign of depression. Future applications may include the detection of early stage dementia, and enabling the public to self-manage their own health, by predicting when they’re most vulnerable to a fall, for example. The team were determined to ensure that engagement was conducted as a true partnership. It is a part of the core ethos of SPHERE, and is threaded through the project. Engagement work included stakeholder group meetings and workshops, engagement at festivals and events, web-based communications, film and other media, and time spent within people’s homes and at the specially equipped SPHERE SMART house in Bristol. The team also established a public forum called The Friends of Sphere comprising of some 200 members. 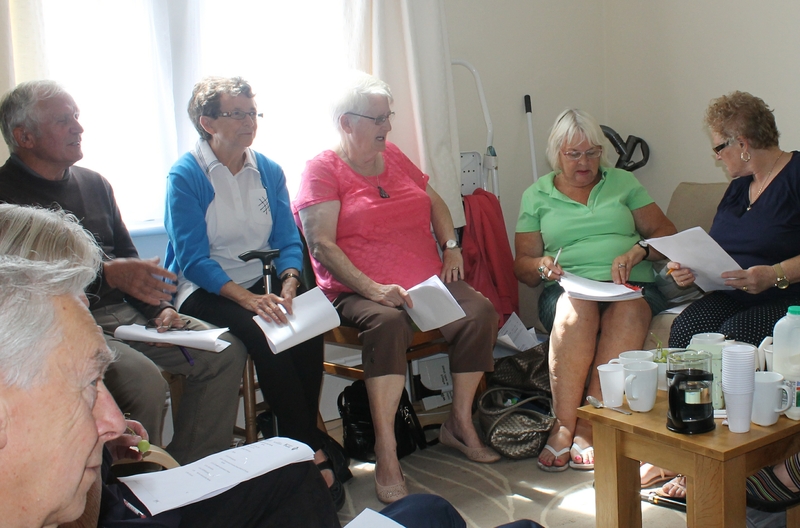 Engagement began right from the outset with patient groups offering input into the project design. A public advisory group was set up so that researchers could meet members of the public and patients to talk about the technology and how it was planned to be used inside the 100 homes. Community partner Knowle West Media Centre worked with the public at events, testing the technology via hands-one models. Once the initial pilot inside the Bristol SMART house was underway, the project began gathering information from sensors on heat, light, movement etc. The sensors can also tell how often people cook, whether they are using other major appliances, and tracking where people go when inside the house. SPHERE is continuously engaged with the public to help understand their concerns about challenging ethical and privacy issues. This feedback is helping shape the direction of the project. For example, sensors have been designed with attention to aesthetic concerns, and with an eye on how much electricity they use so that it is not too expensive for people, and remains a socially inclusive project. Evaluation has been conducted in a variety of different ways - through conversations between the established engagement bodies (such as the public advisory group or Friends of Sphere), via questionnaires (126) and evaluation forms. There was a desire for the engagement process to reflect the same levels of creativity the public normally enjoy – including arts-based demonstrations and activities, for example. 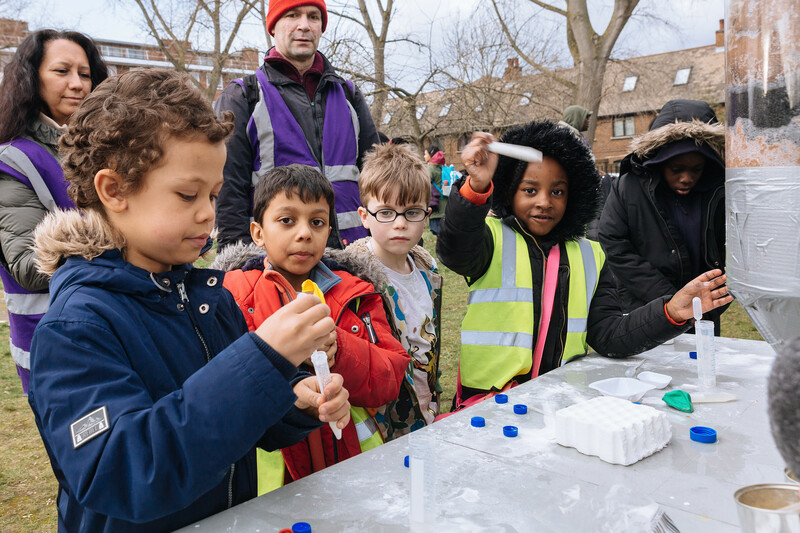 SPHERE has involved more than 80 researchers for whom public engagement is now a normal part of their research role. The project will live on and has become a part of the University of Bristol’s future engagement strategy. SPHERE can show how an engaged approach can benefit research, particularly when new ethical challenges emerge within fields such as engineering and computer science. For more information, please visit the SPHERE website.